Why Do Black Women Even Need Wigs, Weaves, Twists & Box Braids? I am guilty of assuming black women who wore wigs and weaves were trying to look white. Now older and had my fair share of weaves both sew in’s and glued in (lets not talk about why glue was a stupid idea) I am sick and tired of hearing people say “black women/girls are trying to be white”. Old enough to understand assimilation and the European standards of beauty. I now know that many of black women, including myself did what we had to do to get by. Whether it be straightened your hair every two to three days or sewing in a weave monthly, we did what we did to fit in. So why do we need these hair styles? 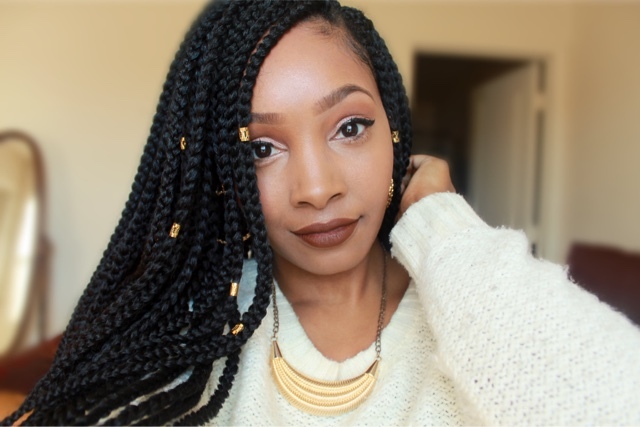 Protective styles are the reasons for all of our creative and practical hair styles. A protective style is a style that normally covers the ends of our hair, which is normally the oldest and most delicate parts of our hair. These low to non-manipulation styles gives the hair a break from heat, brushing and manipulation that can cause breakage and damage. It also protects the hair from harsh elements. Which is why it doesn’t make sense for non-black people to mimic and rebrand our styles. Not only is it part of our culture and there for an act of cultural appropriation, but it is also pretty damaging and purely for the purpose of aesthetics as there are no benefits to the hair from protective styling on european hair. This post is not going to ignore the facts that some women do manipulate their hair as an act of self hate. But what we are not going to do is, suggest that every black women with a wig or weave is self hating. Every style black women do, it becomes a public issue. Black women have mo space to just do what they want the hair that grows out of their own scalp. We are mocked and sometimes punished for wearing our natural hair, and then have to deal with microaggressions in the workplace and people questioning your blackness for wearing a wig or a weave. When can women do what they want with their hair without it being up for scrutiny? Spaces and platforms that encourage women to low their hair and their skin help to give women the confidence and sometimes even the permission from themselves to do whatever they feel comfortable doing with their hair. Let me know about your hair in the comments below. Has it been easy/hard styling your hair? What have you recently learnt about your hair? What’s one thing you love about your hair?